On this popular mid-week course we will be concentrating on relatively easy chamber music repertoire played en-masse during the evenings and in small chamber groups during the daytime. There will normally be set repertoire available in advance, but participants will also be encouraged to explore chamber music of their own choice. The course may also include sectional practice. 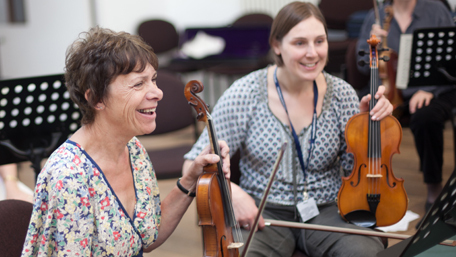 *BRING A FRIEND* If you introduce a friend who is new to Benslow Music and persuade them to join the course, you will both receive a discount on the basic course fee. This reduction does not apply to room supplements.